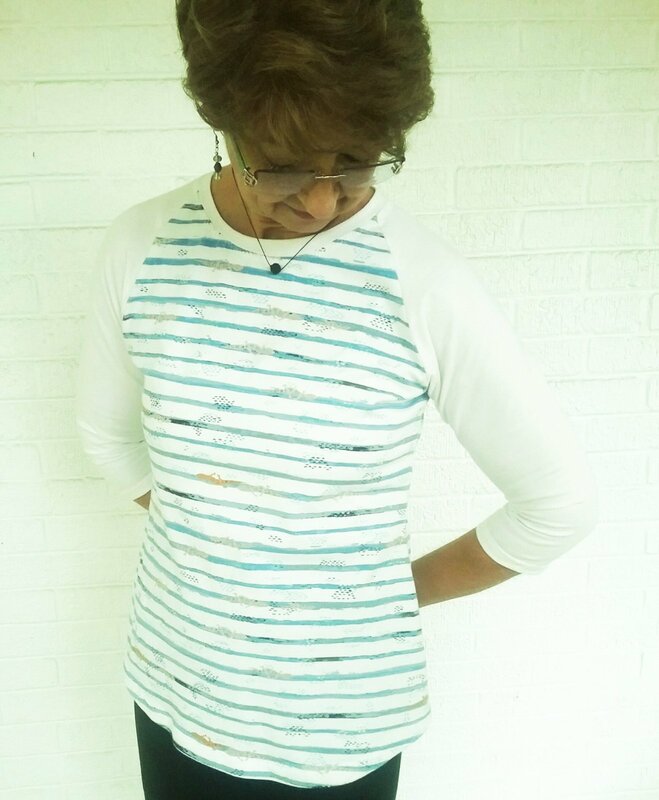 The Frankie tee is a classic raglan baseball shirt with subtle hourglass shaping which makes it very feminine to wear. It's designed for jersey knit fabric, preferably cotton or cotton blend although this tee can be made out of rayon or polyester blend jersey as well. Frankie has a rounded neckline, raglan sleeves, a gentle curved hem that's slightly longer in the back and a choice of three quarter or long sleeves. Sizing is for busts of 30-44" and hips of 33-47". We'll learn about jersey fabric, how to measure the percentage of stretch in your fabric, how to tell the right side of jersey, how to sew a neck band as well as constructing the Frankie on your sewing machine. ALTERNATIVELY, 7/8 yard of two different colors of 60" wide jersey fabric if color blocking is desired. *Please contact the shop in advance to reserve on of our machines if needed. Requirements: You must be proficient in the operation and use of your sewing machine to take this class.